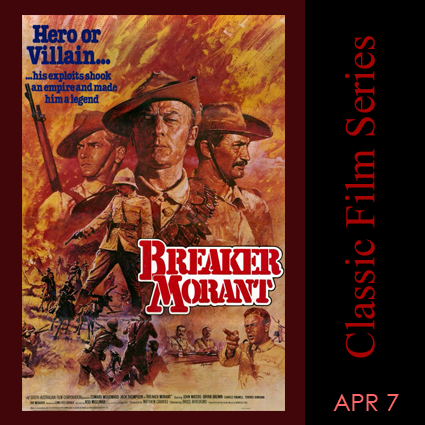 Based on a true story from the Boer War in South Africa (1899-1902), Breaker Morant (1979) was an unexpected hit that helped usher in the spate of commercially successful and critically acclaimed Australian films that took the U.S. and the world by storm in the early 1980s. Made for only $800,000, this drama about the extraordinary and tragic circumstances faced by men at war struck a chord with audiences, especially in an America that had recently come out of the Viet Nam war. The film racked up several Australian Film Institute Awards, as well as many nominations in other countries, opening up a wealth of opportunities for director Bruce Beresford. He became one of the hot new directors from Down Under and went on to direct such hit films in the U.S. as Tender Mercies (1983), which netted Beresford the Golden Palm at Cannes, an Oscar and the Golden Globe for Best Actor (Robert Duvall), and Driving Miss Daisy (1989), an Academy Award winner for Best Picture, Best Actress Jessica Tandy and Best Adapted Screenplay (by Alfred Uhry). 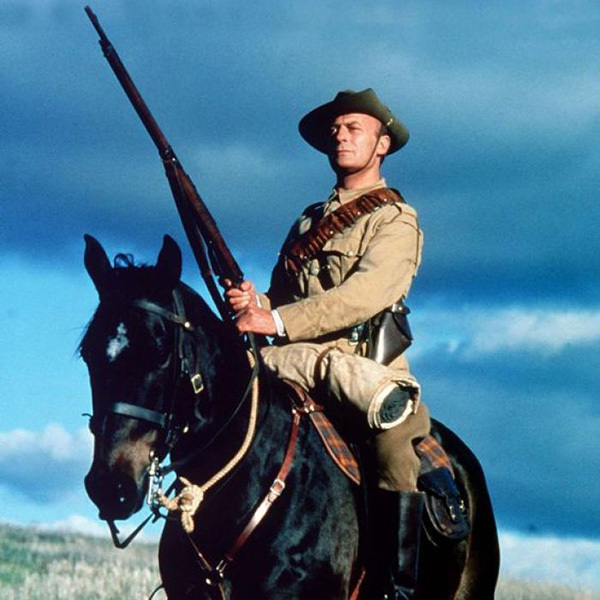 Breaker Morant chronicles an incident in 1901 when three Australian soldiers fighting on the side of the British in South Africa were court-martialed for executing enemy prisoners. Acting under orders from British high command during a brutal guerrilla war (the first of its similarities to Viet Nam), Harry “Breaker” Morant and his fellow soldiers in the Australian Bushveldt Carbineers exact revenge for the murder and mutilation of one of their officers by the Boers, South African farmers of Dutch descent revolting against the British in the century’s first colonial war. Several Boer prisoners and a German missionary the trio believe to be a spy are killed. Because the British are aware Germany is looking for an excuse to enter the war on the side of the Boers (to position themselves favorably for access to South Africa’s gold and diamond riches), the command orders the three Australians to be brought to trial as scapegoats, denying the deaths were ever part of an official but covert military policy. 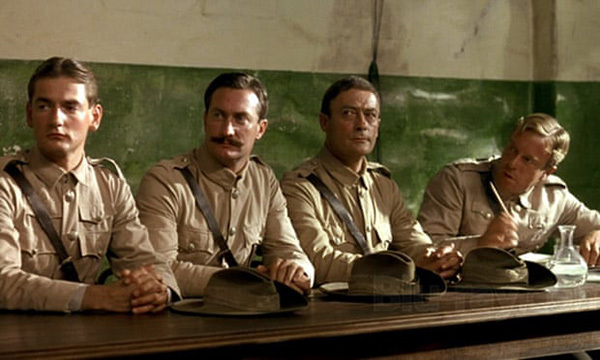 Breaker Morant is unflinchingly a polemical film, skillfully manipulating audiences into sympathy with its protagonists, who are clearly guilty of the act for which they are condemned. In this respect, it has been compared to Stanley Kubrick’s brilliant anti-war film Paths of Glory (1957) and was seen by many reviewers of the time as a parallel to the story of Lt. Calley and the 1968 My Lai massacre in Vietnam. Early drafts of the screenplay depicted the Australians as innocent of the executions. Beresford rewrote the story to place the focus not on their guilt or innocence but on the far more compelling theme of the extreme acts soldiers are driven to commit and the double-dealing politics of the military elite…. The story is aided in no small part by the honest and affecting performances of its leads. British actor Edward Woodward, who later appeared in the American TV series The Equalizer (1985), plays Morant as a flawed but essentially warm and decent man, in contrast to his pompous, hypocritical superiors. Acting honors are shared by two major Australian stars: Bryan Brown, who went on to great success in America in the TV mini-series The Thorn Birds (1983) and the thriller F/X (1986), and Jack Thompson, who played a Japanese POW in Nagisa Oshima’s Merry Christmas, Mr. Lawrence (1983) and the sympathetic father in the gay-themed The Sum of Us (1994). As the harried and increasingly emotionally involved defense attorney, Thompson won the Australian Film Institute Award for Best Actor and the Cannes Film Festival Award for Best Supporting Actor.